INVERNESS, Fla. — A Florida corrections officer has been accused of sexually abusing two children. 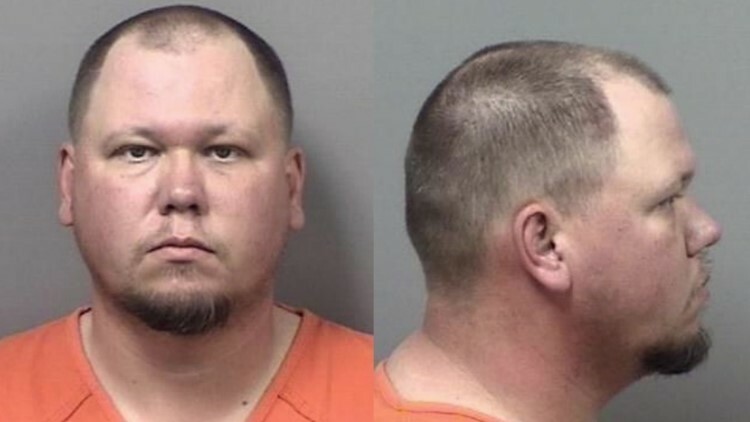 James Touchton, 37, of Inverness, was arrested Monday and charged with capital sexual battery and lewd and lascivious molestation of a child under 12 years old. He was arrested in Citrus County but had been working at Lowell Correctional Institution in Marion County. Few details have been publicly disclosed, but the Citrus County Sheriff's Office said investigators were tipped off on March 8 and continued investigating through March 11. "...the victims disclosed multiple incidents of sexual abuse by Touchton," a spokesperson for the sheriff's office wrote in an email. In a statement, Citrus County Sheriff Mike Prendergast said his team planned to exhaust all efforts to make sure the alleged victims were supported and that Touchton got the "maximum punishment." "A possible lifetime in prison sentence for James Touchton is nothing in comparison to the physical and emotional harm he has inflicted on his victims," Prendergast said. "He used his authority over these two juveniles to manipulate them into unspeakable acts." The Florida Department of corrections says Touchton was hired in 2008 and had no record of previous disciplinary action taken against him. It is now moving forward with his immediate dismissal. Touchton was booked into the Citrus County Detention Facility.